What’s in a milestone? For patients, perhaps everything. 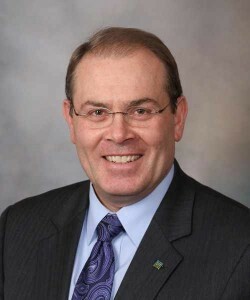 In May, Mayo Clinic transplant surgeon Charles Rosen, M.D. completed his 1,000th liver transplant surgery. 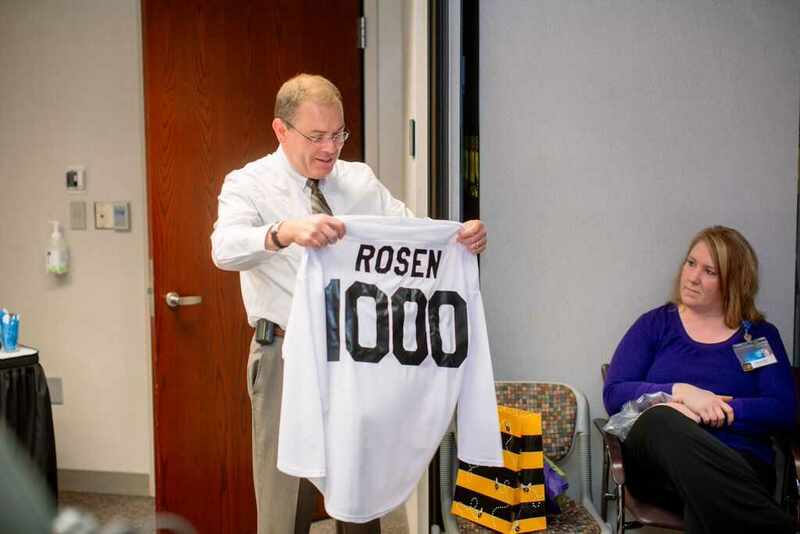 Rosen is among a small handful of liver transplant surgeons to have reached that personal milestone. But Rosen would be the first to say that transplant surgery emulates Mayo Clinic’s model of collaborative, team-based medicine. Mayo Clinic in Rochester performed 104 liver transplants in 2014 from both deceased and living donors, according to the United Network for Organ Sharing, the organization that governs organ donation. Since UNOS began keeping records in 1988, Mayo Clinic has performed 2,478 liver transplants. (Mayo Clinic in Rochester’s program began in 1985, with Mayo Clinic in Florida following in 1998 and Mayo Clinic in Arizona opening its program in 1999.) More than 6,000 liver transplants are performed each year throughout the United States, according to the American Liver Foundation. Each transplant surgery represents a milestone for patients facing life-threatening illnesses such as Hepatitis C, cirrhosis of the liver and autoimmune disease that give patients the chances to enjoy the kinds of milestones many healthy people take for granted Nearly 90 percent of Mayo Clinic Rochester liver transplant patients survive three years after transplant, according to data from the Scientific Registry of Transplant Recipients. The national average is 81 percent. The percentages of patients receiving liver transplants at Mayo Clinic in Arizona and Mayo Clinic in Florida surviving three years post-transplant exceed national averages as well. 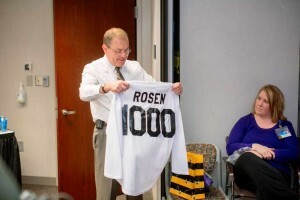 Dr. Charles Rosen is presented with a shirt commemorating his 1,000th liver transplant. Research shows that centers that perform large volumes of transplant surgeries gain efficiencies and expertise that helps all patients receiving organ transplants fare better than those who receive transplants at medical centers with lower volumes. 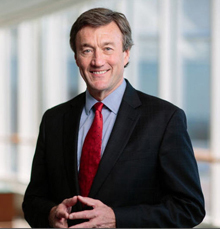 Mayo Clinic’s experience and continuous improvement in transplant medicine led to Walmart to choose Mayo Clinic as a Center of Excellence in 1996. Sadly, there is a shortage of organs nationwide. Regenerative medicine holds the promise of creating bioartificial livers and patient-specific liver cell transplants to meet patients’ needs. For more than 50 years, Mayo Clinic has been at the leading edge of clinical and basic transplant research. Recently, Mayo Clinic researchers found livers donated after cardiac death were safe for use in patients fighting liver cancer. With the exception of two positions briefly held elsewhere, Dr. Rosen, 55, has been on staff at Mayo Clinic since 1991.